The Logitech Pure-Fi Anywhere 2 allows you to enjoy clear sound and maximum bass with iPod/iPhone speakers that go where you go, around the house or on the road. Save big on Open Box Logitech Pure-Fi Anywhere 2 systems from HDEtron.com! Open box items are new items that have been opened and handled but function flawlessly like-new! 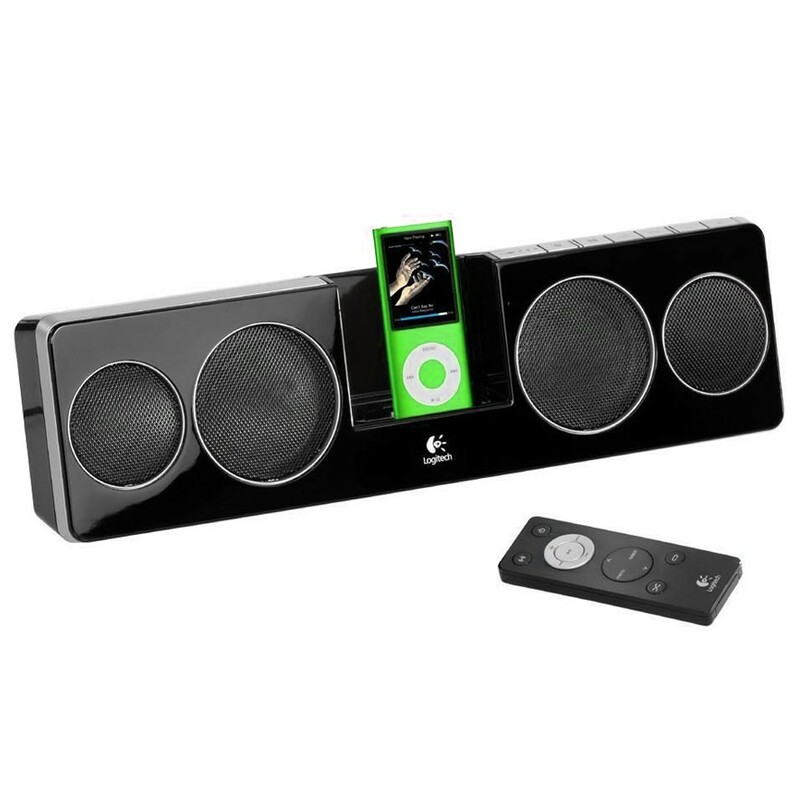 Enjoy clear sound and maximum bass with iPod/iPhone speakers that go where you go, around the house or on the road. The Pure-Fi Anywhere 2 speaker system uses a unique combination of speaker drivers to deliver clear sound with maximum bass and minimal distortion. Its compact size make it the ideal companion to your iPod or iPhone. Advanced acoustics allow you to experience exceptionally clear sound with maximum bass. A set of 2-inch (5.1 cm) active Max-X, high-excursion drivers deliver full, balanced audio, while 3-inch (7.6 cm) pressure drivers maximize the bass response. StereoXL technology allows a wider stereo image, dramatically creating an immersive audio experience. The included convenient travel case protects and stores the speakers, remote, and streamlined AC adapter. The wireless remote control allows you to control your iPod and browse your content from anywhere in the room. The Logitech Pure-Fi Anywhere 2 is compatible with the new iPod nano, iPod classic, iPod touch, and the latest generation 4 iPhones! *This new item is Open Box, and may feature handling marks or blemishes but functions 100% new. iPod/iPhone not included. Batteries not included.